I will admit that it took several nudges from my sister, while visiting her family in Egypt, for me to order a bowl of lentil soup. I mean, lentil soup just honestly isn’t my thing. 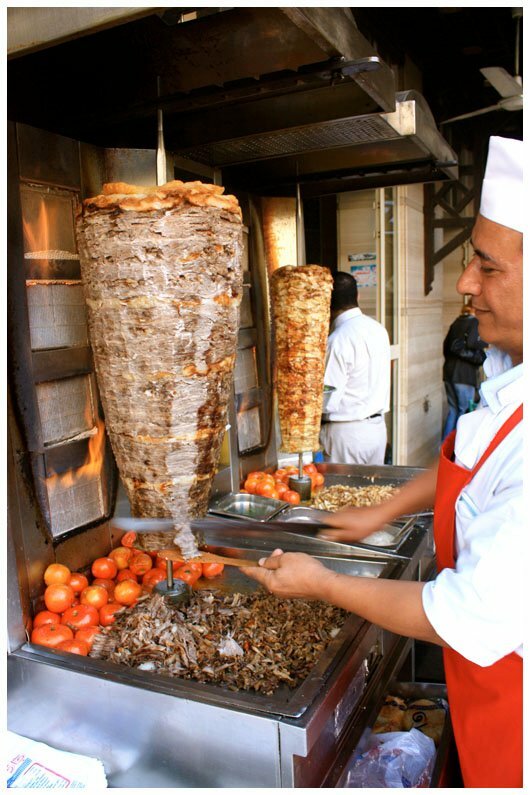 Besides, I had already ordered a glass of fresh strawberry juice and some delicious looking shawarma (pretty much what we call gyros where I’m from), with meat sliced right from the rotating spit we sat next to. I really didn’t see the need for any more food. But Cheryl wouldn’t let go of it, saying that lentil soup is a very typical, yet tasty Egyptian soup, and she really thought I would like it. So I gave in and ordered a bowl. And it was completely not what I had expected. I was predicting bland, possibly something similar to watered down refried beans. But what filled my mouth was definitely not boring. It packed heat. Beautifully balanced, earthy, spicy heat. 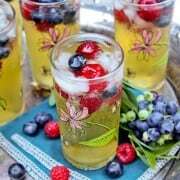 And the squeeze of lemon over the top was bright and tangy, the perfect contrast. I really didn’t want to share, but I handed the spoon to Blake. And he pushed back quite a bit of that bowl himself. I’d say that’s quite a testimony right there. So shortly after returning home, I got to work recreating that memorable soup we ate on that sunny Cairo street. And here’s what I came up with. 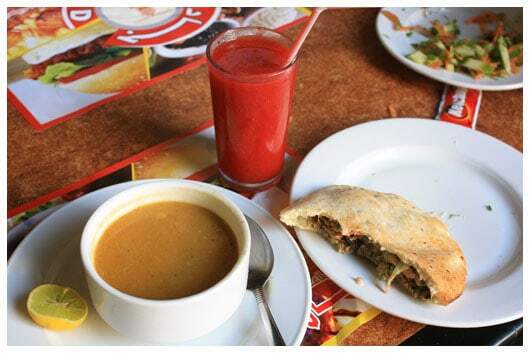 If you are able to find red lentils, that is probably what was used in the soup we ordered that day. I used what I could easily find, which was green lentils. Besides that difference, I do believe I came very close to that original faraway bowl. Over medium-high heat, in a large saucepan or small stockpot, heat the oil. Add the onion and garlic and cook until fragrant, about 2 or 3 minutes. Add the celery and carrot and cook for another 5 minutes. Add the potato, lentils, and vegetable broth. Bring to a boil, then cover and simmer until all the vegetables are very tender. This should take 40 to 50 minutes. Puree the soup in batches, using a blender, and return it back to the pot. Or blend carefully right in the pot with an immersion blender. Add the cumin, cayenne pepper, turmeric, and lemon juice. Season with salt and pepper. I’m not known for adding much salt to my food, but I found myself adding more than I thought I would to boost the flavors. Just add a bit at a time, tasting after each addition. Serve the soup hot with slices of fresh lemon on the side. Some warm fresh pocket bread would also be good with this meal. Would you like to see where we headed after our bowl of lentil soup that day? This is how we traveled. I call it the Egyptian Piggyback. See my niece on the right, on Dave’s one shoulder? I loved watching the Egyptian women carrying their children this way. Only over one shoulder. Unlike our daughter on the left, with both legs wrapped around Blake’s neck. 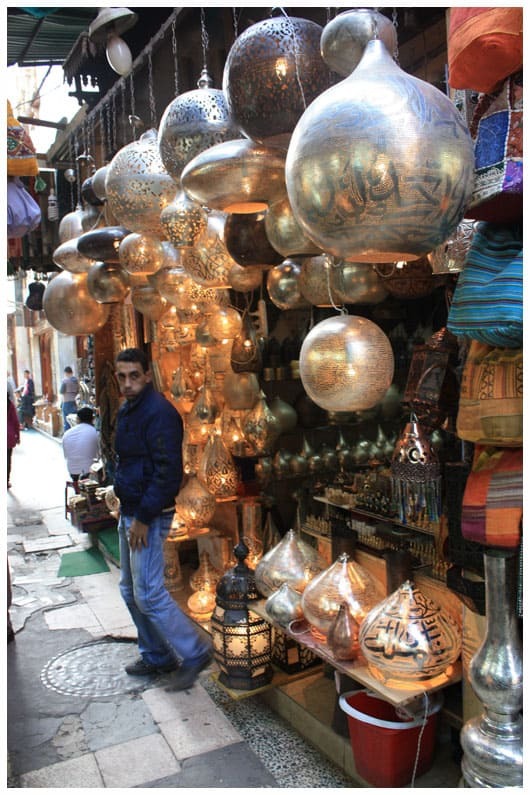 We were on our way to the Khan El Khalili, or simply, the Khan (market). Established in the 14th century, this ancient market was a major hub for overland trade caravans from east to west. 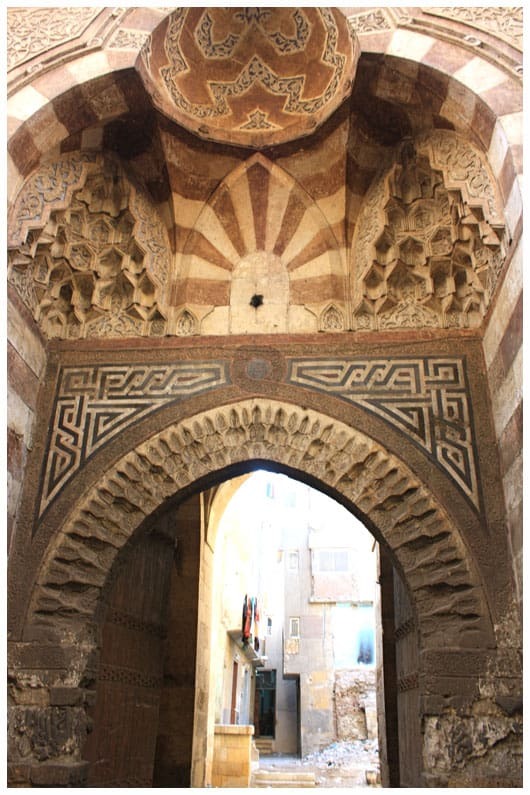 The arch shown above is an entrance to Wakalat El-Ghouri, built in 1504 as a caravansaray, an inn for global merchants doing business at the market. 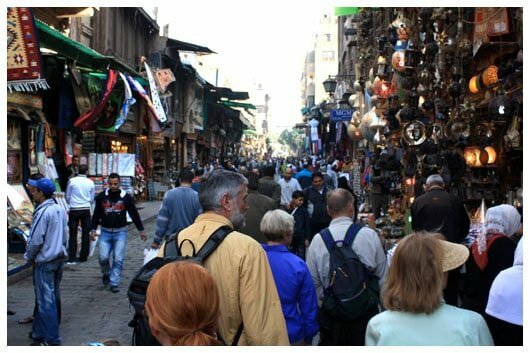 In the Cairo of today, the Khan caters to backpacking tourists and local Egyptians alike. It was one of my favorite places for people watching and taking in the sights, smells, and sounds of life in this chaotically magnificent city. 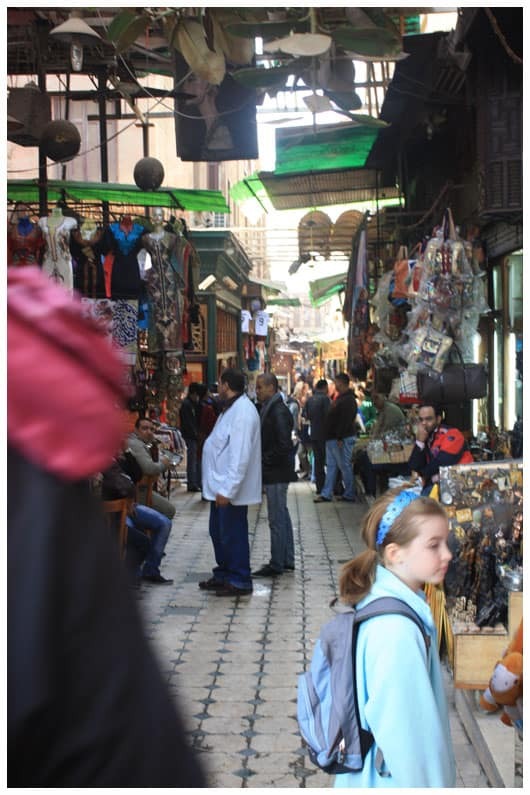 The canvas covered streets and narrow alleys snake in and out, showcasing a wide variety of Egyptian born wares. There’s jewelry of fine gold and silver, a variety of pottery, copper items, perfume and incense, alabaster, and no shortage of kitschy souvenirs. If you like to haggle, this is the spot for you! Haggling is completely not my thing, though, so I was happy to have my sister at our side, who frequents the market and has befriended some of the shop owners. And she can haggle in Arabic. Very, very useful. 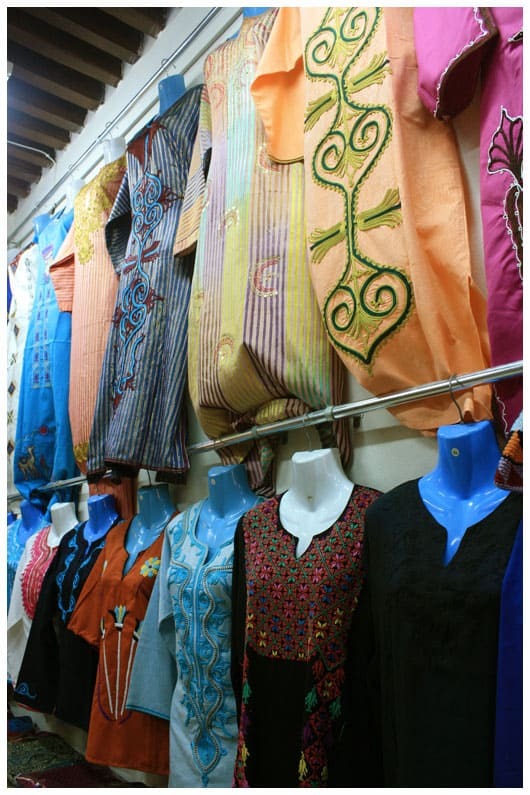 to ornately beaded dance costumes that are so much a part of Egyptian custom. My eyes feasted on these beautiful metal lamps, sold at a number of different places throughout the Khan. Each time they caught my eye, I tried to imagine where one might hang in our own home, and how I could fit it into our returning flight’s baggage. 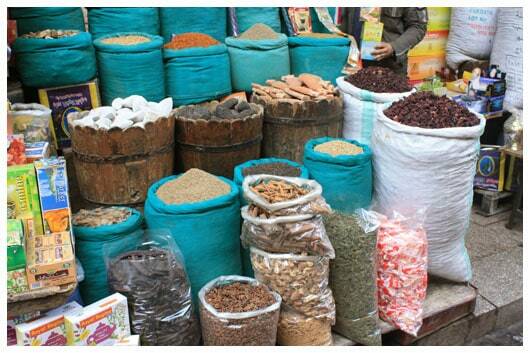 In the Middle Ages, spices originating in the East were traded through Cairo to the Europeans. We saw many scenes such as this across the city. Bountiful burlaps of herbs and spices for sale. This stall right here had to be our favorite stop. 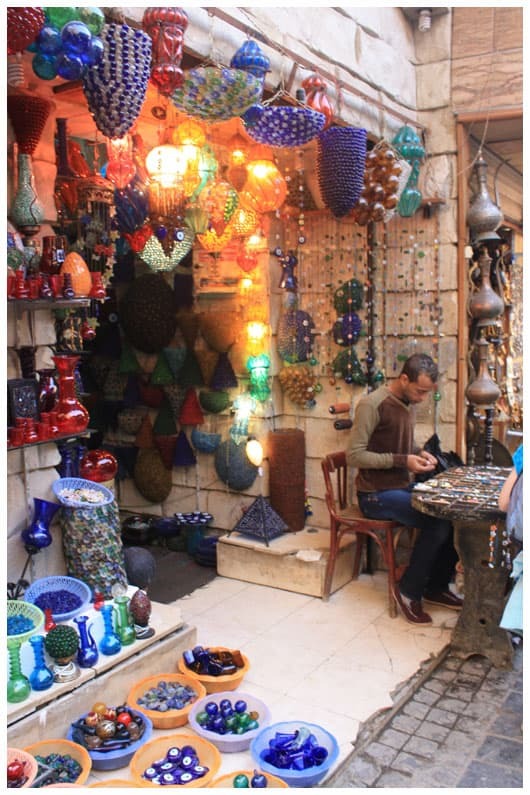 Loaded with colorful recycled glass lamps, vases, and beads, this shop’s wares didn’t need to beg for our admiration. We were already in love with this handiwork of Egypt. 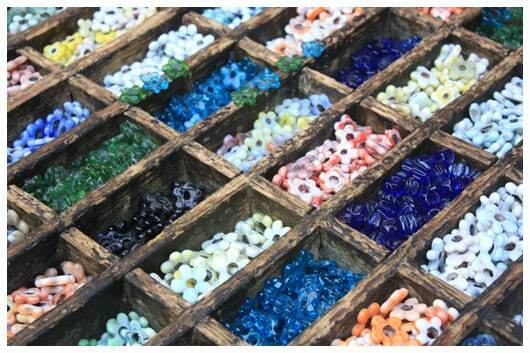 These brilliant flower shaped beads held our attention for quite some time. 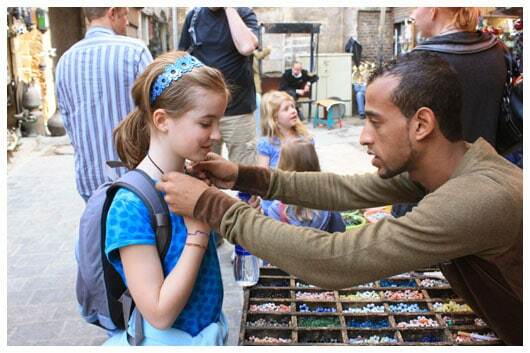 We had a number of necklaces made for ourselves and for gifts to take back with us. And then, all too soon, our day was coming to an end. But not before this boy’s sweet smile and gorgeous date and spice filled pastries stole my sister’s heart. It’s a wonderful thing to eat what the locals eat. It adds so much to the whole experience. And so we happily munched on our fresh baked goodness as we headed out of the market. please visit here and here. Robyn at Add a Pinch for Mingle Monday. Please be sure to check out her latest project called Go Savor, that highlights foods encountered near and far, from a walk down the street to a walk in a foreign land. I’m also joining Soup-a-Palooza at TidyMom and Dine and Dish, sponsored by Bush’s Beans, Hip Hostess, Pillsbury and Westminster Crackers! ….. I’m including Chicken Tortilla Soup and this Spicy Egyptian Lentil Soup!! As an Egyptian this recipe is authentic and and truly delicious! 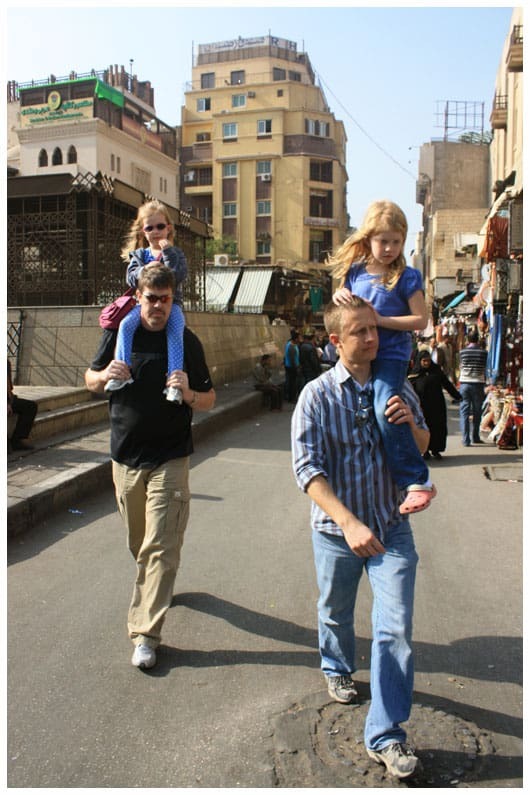 I loved your family pictures, it made me miss Egypt! Thanks for posting this recipe. There is a restaurant here in Columbus that makes a lentil soup which is, bar none, my favorite soup. It is absolutely wonderful. I used your recipe as a starting place in an effort to recreate it. I got fairly close but couldn’t nail it. I added a couple of teaspoons of ground sumac berries and, viola, it is really close to the recipe used by the restaurant. If you haven’t tried them, I would recommend them to you. Thanks again!!! Hello! Made this tonight and it is amazing! Thank you for sharing! I stumbled onto your blog while searching for a lentil soup rer cipe. I have spent the past 6 years looking for a recipe to recreate the soup at a local Egyptian restaurant that closed. Wow! I made this in january and am making it again tonight. Thank you! You have no idea how good your comment is to hear! Thank you so much for coming back to comment and let me know! Delicious recipe and similar to dhal soup from India. Instead of blending the cooked foods, I blend them before cooking, when raw. Really easy. I found this recipe some time ago, on another website (http://www.mediterraneansnackfoods.com/spicy-egyptian-lentil-soup/) and just tried it for the first time last week. My kids aren’t big on spicy, but are willing to try new things. I told them “It’s got some of the same spices as the Indian Tofu Scramble I make,” which they love. I cut back the cayenne a little and everybody had seconds! Also, love your site here! Thank you, Hillary – so nice to hear from you! 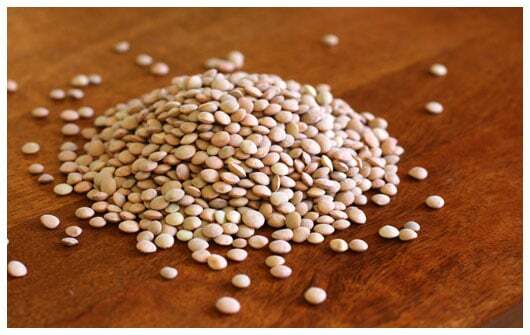 I have two lentil soups on my blog – one is a black eyed pea lentil soup, the other is a lemony radish soup. 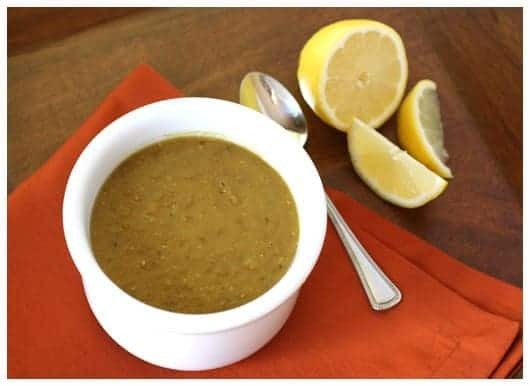 Lemon is such a great flavor to compliment lentils, it’s great to find another dish with these flavors! Stopped over from Mingle Mondays – this soup looks amazing. I’m always looking for new things to do with lentils, so I’ll have to give it a go. Thank you – please let me know what you think! What a great post – lovely pictures. I look forward to browsing more of your blog. Thank you so much. And I look forward to hearing from you again! i’m a faithful reader of your blog, and when i first heard of the chaos in egypt, i immediately thought of your family. i’m so glad yal were able to get back safely. Thank you so much for thinking of my family, Jasmine. And thanks for reading my blog!! Thanks for sharing this great recipe and your great adventure! I also run a food blog and will be featuring your recipe tomorrow afternoon. Thanks for visiting, and for featuring my soup! Wow, this looks great! I have a bit of a thing against lentil soup, because so many vegetarians who care more about principles than food make such disgusting lentil soup. But it doesn’t have to be like that. Looks like you had such a great time! 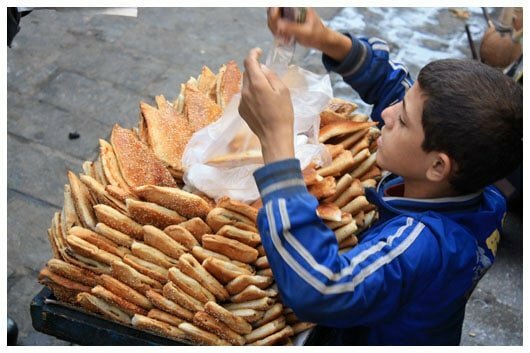 These photos remind me of the grand market in Istanbul – so many amazing and delightful things to see and sample. Hope your family is doing ok over there right now. I know exactly what you mean about the lentil soup, thus my hesitation in trying it in Egypt. I’m so glad I listened to my sister! 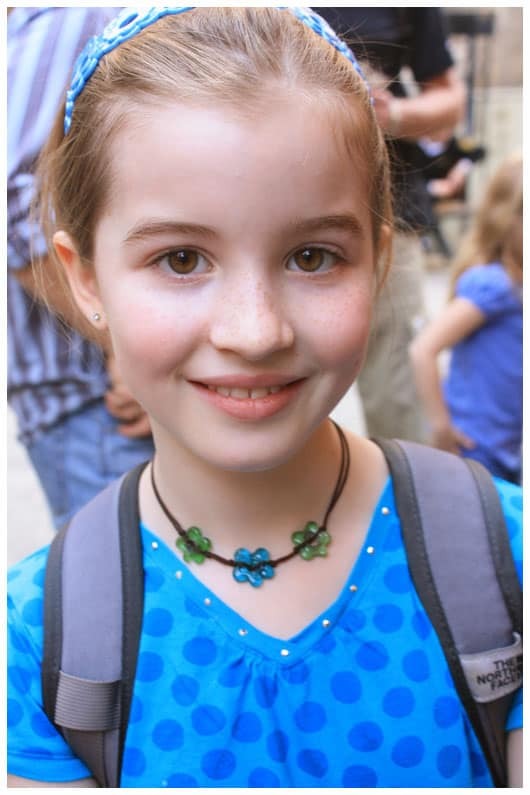 My family was actually able to leave earlier this week – they are safe. Thanks for thinking of them. Wow it certaintly looks like you had an awesome time in Egypt! Those beads look so cool! I would have been looking at them for hours too! It looks like you had a lovely holiday, how cool that your sister lives in Egypt! Thanks Harriet – great to hear from you again. I love this soup! Great photos! Thank you so much, Cherine! Beautiful food, family, and pictures! Thanks for sharing. Made this for dinner tonight (only subbing sweet potatoes in for nutrition) and it was so simple and good! Thank you for sharing. Your trip sounds wonderful. Thank you so much for letting me know, Katie!! That soup is delicious! I really, really enjoyed it. Thanks so much for taking the time to recreate it. About a month after making this soup the first time, I was recruited to help cook for a rehearsal dinner. When the mother of the groom told me she was planning a soup bar, I suggested this right away. I made it for 40-50 people and it was a big hit. Thanks again for posting it! 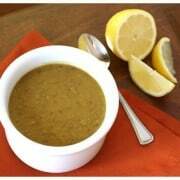 First, I love lentil soup and it is very healty for you. Second, your trip looks more than awesome. 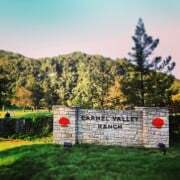 What a wonderful place to visit!!! I’m so jealous! We travel a lot, but that’s a trip we haven’t made yet. Looks absolutely amazing. I’ve been browsing through some of your recipes and can’t wait to try them out. Hope you’ll come to The Executive Mom and link one of them up for our simple recipe swap! This soup was PHENOMENAL! I made it for my mother for dinner tonight and we enjoyed it with a dollop of sour cream. Super, I can’t wait for the leftovers tomorrow! I’m so very happy to hear that, Virginia – thank you for leaving a comment. Enjoy your leftovers! So cool!! And I love the pictures on your travels… just so fascinating!! Really Really FUN to relive the memories! I LOVE that place, Cheryl!! I love seeing all your pictures from your trip. 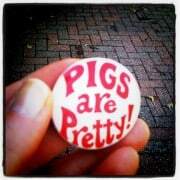 Your girls are gorgeous, your version of the soup sounds awesome. 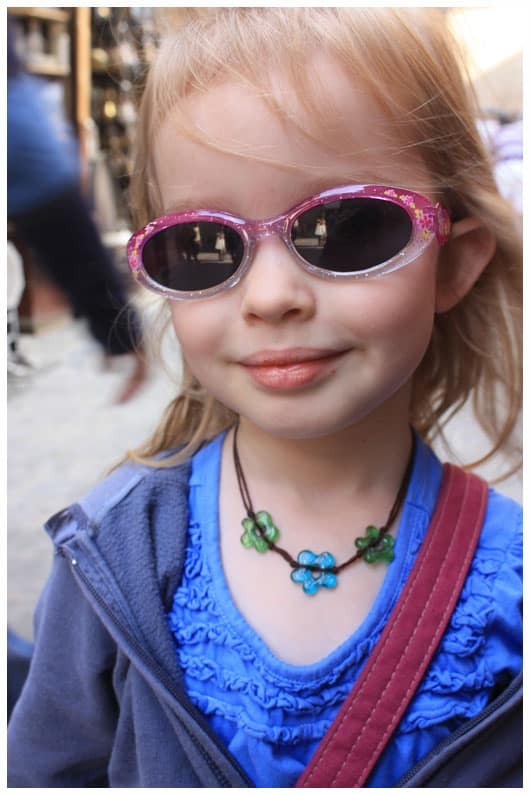 You have made memories for your daughters that will last them a lifetime. What amazing memories! I will admit to having my own reservations about lentil soup – but you almost have me persuaded to give it a try! Thanks, Melinda – nice to hear from you again! Thanks for the awesome pictures. They brought back so many wonderful memories. I never tried the soup, but I think I would like it too.